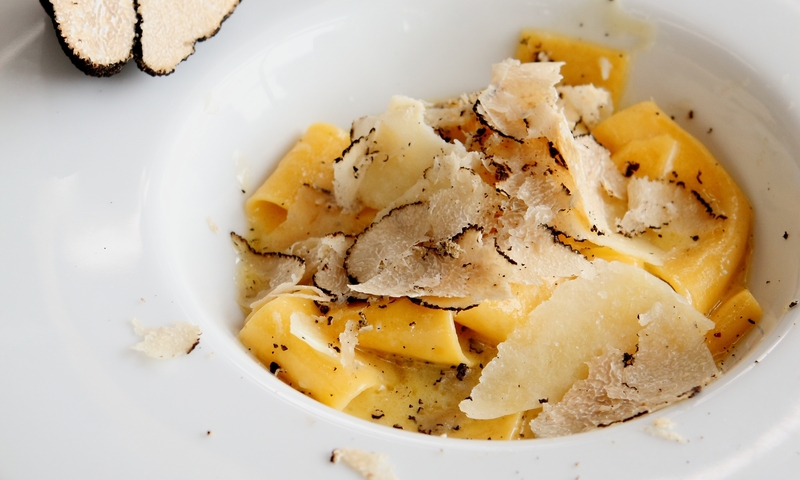 Dress up this pasta dish with delicious truffle shavings. This recipe was first published in Flavours magazine. Heat the palm oil in a pan, sauté the sage leaves over medium heat till fragrant. Add the chicken stock and reduce till thick, then remove the sage. Add margarine and truffle margarine, cream, Pecorino and season with salt. Add in the truffle oil. Remove from heat and toss pasta with sauce till well-coated. Top with parmesan, shaved truffles as well as shiso leaves.